NF (5808) - As posted yesterday, almost pattern confirmed the timebeing bottom out. today follow up require to get the more confirmation. Now support 5770 and 5700. if hold, then expect 5840-5860 & 5910 but ultimate in this round 5984. 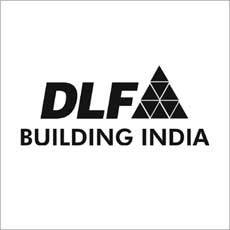 DLF (257) - As posted on 07th Jan. Below 275 downside target 252-250. yesterday, exactly it made a low of 252. Now what next ? This is the support and in worst case it may come down to 246 so from here, expect pullback up to 267 & 275. KIRIDYES (377) - Support 375_365 and above 400 upside target 420 & 450. TATAMOTORS (1158) - Posted on 21st Dec, once again hurdle at 1384 and expect correction. As expected it went upto 1375 from there it already fallen to 1141. time being fall over. so support 1140-1130 from here expect pullback 1225-1250. YESBANK (272) - As posted on 10th jan. it came down and take a reversal from the mentioned in between support of 260 Timebeing yesterday bottomed out at 257, now go up to 282 & 310.